Science has proven it, but most shooters already know that plinking is a fun, inexpensive sport. For people who don’t want to shoot a military or magnum cartridge, the 9 mm carbine is an affordable option. These rifles are budget-friendly to buy and to shoot. Not only that, they are recoil free. And if you buy the right rifle, you can use it for hunting, plinking or even home defense. 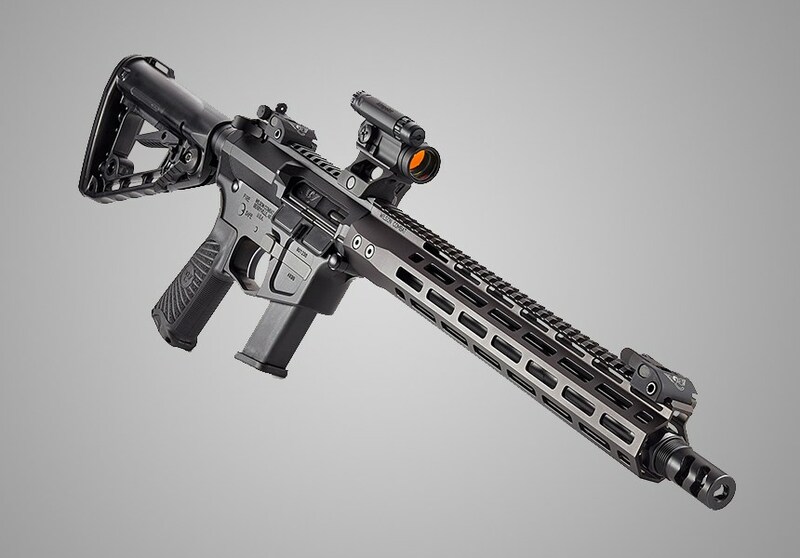 Here are the top 10 9mm pistol caliber carbines on the market. Although you’ll get a brief overview of what each has to offer, you can find the exact specifications on the rifle manufacturer’s website. There’s probably very few lists out there where Wilson Combat and Kel-Tec are on the same page. 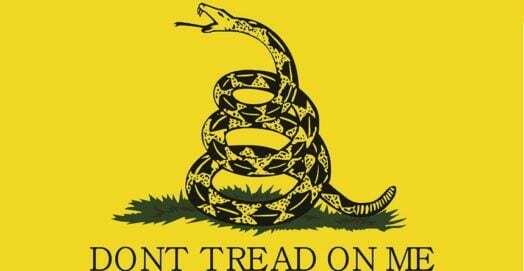 So, this list includes a wide variety of 9mm pistol caliber carbines on the market. 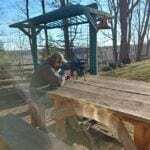 Enjoy each model for what they are: fast shooting, light recoiling, fun guns to shoot But don’t expect the same level performance you get from the AR 15. 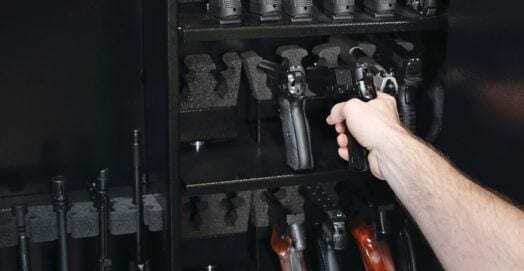 These are pistol rounds, so even though they have a slightly higher velocity because of the longer barrel, they have a limited powder capacity. Below you’ll see our 3 favorites, followed by a round up of the 10 best 9mm carbines on the market. The CZ Scorpion Evo Carbine is one of our favorite 9mm carbines. While CZ is famous for pistols, the Scorpion rifle is the perfect example of what a manufacturer can do to change a product category. Many people see the 9mm AR 15 variants as the future for pistol caliber carbines. CZ, and to a lesser extent, the six-shot, changed that idea with the introduction of guns like these. 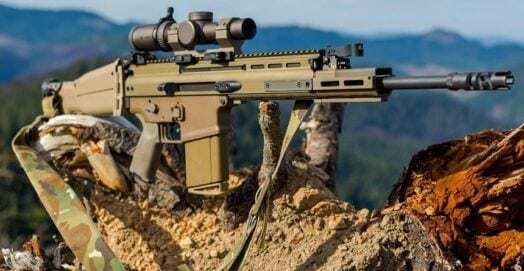 Available in both a pistol and a rifle, they intentionally manufactured and marketed the Scorpion EVO as a way to have a short-barreled rifle or SBR. The CZ company even sells kits to convert your pistol into an SBR. Whether you currently have a pistol or rifle, from a legal standpoint, these make awesome carbines. Consisting of a high-quality polymer, the reinforced steel construction is light enough to carry around. Yet it has a supremely soft recoil. Because they outfitted it with a suppressor, this is the perfect gun to train people who are afraid of recoil. 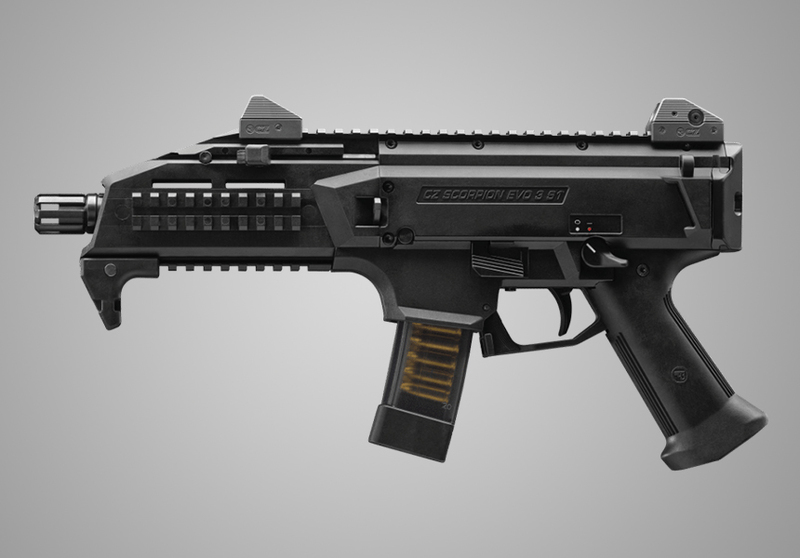 Although the CZ Scorpion isn’t as high quality as other 9mm pistol caliber carbines on the market, it is wallet-friendly and accessible. And if you like to tinker with guns, they are developing more aftermarket parts for this 9mm carbine than all the others. Buy this one if you’re looking for a project or plan on making an SBR. The Sig Sauer MCX Patrol is another quality option. While Sig Sauer is best known for its combat handguns, they are quickly breaking into the world of submachine guns and pistol caliber carbines. This is the largest game changer in 9mm pistol caliber carbines. Sig Sauer designed the MCX to be a 9 mm submachine gun. So, this is the civilian legal semiautomatic version of one of the best 9mm carbines in the world. Sig has been concentrating on military contracts for a few years. And that shift in focus has led to new innovations in their civilian model firearms. 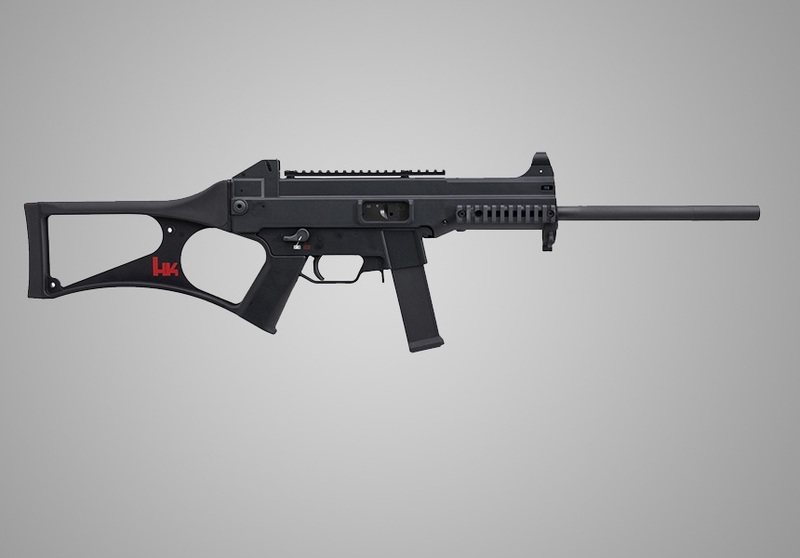 That is reflected in this gun because they made it to compete alongside historic winners like the HK MP5. However, they made this carbine to have more in common with a standard AR 15 than with a service rifle. The ergonomics in the trigger package are similar to a well equipped AR 15. In fact, the bolt release and magazine release are in the exact same place is on an AR 15. The 33 round stick magazines are easy to find and the aftermarket parts are widely available, too. 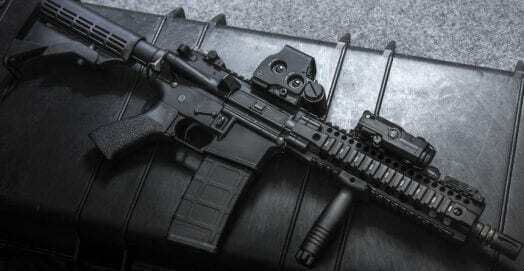 Many people buy this carbine, legally defined as a pistol, to convert it to an SBR. This is much more difficult than you may think because Sig has a policy against selling manufacturer original buttstocks. But you can find aftermarket stocks easily or utilize an arm brace. The MCX is one of the finest 9mm pistol caliber carbines in the world. The only drawback to this gun is the price and availability. They can be difficult to find and often command high prices, too, just like their other handguns they are famous for. 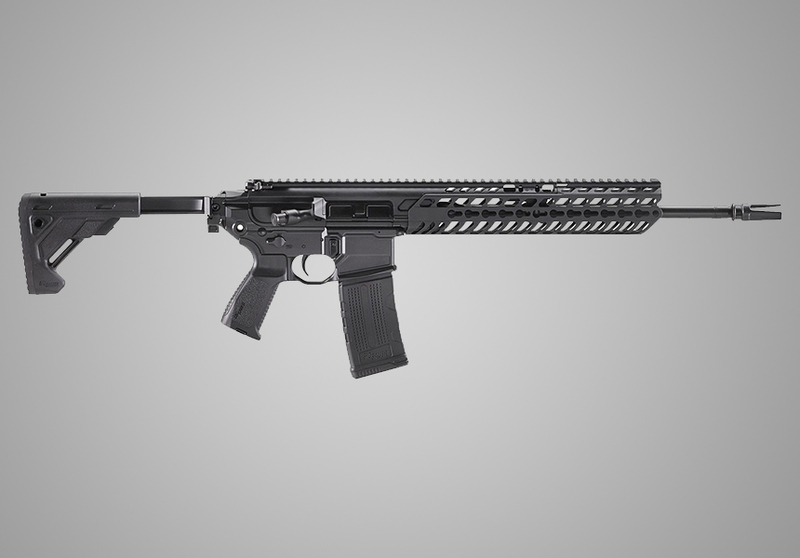 The Wilson Combat AR9 9mm Carbine is a great addition to any collection. Wilson Combat is one of the most prestigious firearms manufacturers on the planet. So, it’s no surprise that one of their firearms is on the top 10 list of anything. 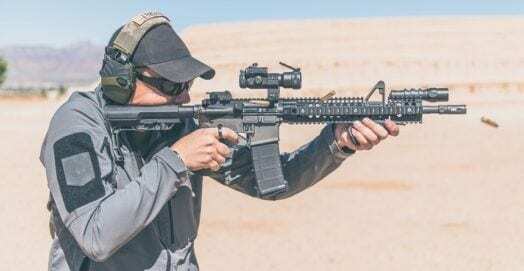 They make one of the best 9 mm chambered AR 15 style rifles in the world, and it’s cost effective enough to allow you to save some money for an expensive sight for any other rifles in your arsenal. Wilson redesigned the mag well of the rifle to work with Glock style magazines. Also, they optimized the upper receiver for the 9mm cartridge, rather than just shoehorning a pistol round in place. But the thing that sets this rifle apart from other 9mm AR 15’s is the sheer level of quality and attention to detail. However, they are quite expensive. However, these rifles come off the production line virtually flawless with zero mechanical malfunctions. Having a 9mm chambered AR 15 gives you all the advantages of the AR 15 with the lower cost of a pistol round. The ability to mount optics easily and the amount of aftermarket parts is astounding. You can get everything from triggers to buttstocks and they just drop right in. 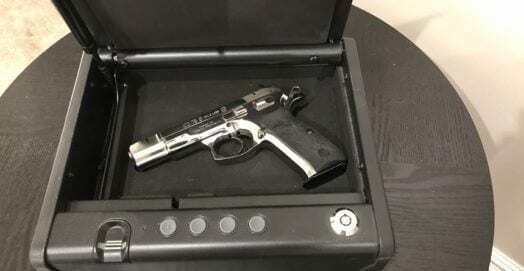 This is the bedside gun for anyone looking for 9mm pistol caliber carbines as a home defense weapon but prefers a rifle. Elderly people and smaller statured people would do well with this as their primary home defense weapon. Adding a Ruger to your collection is always a good idea. A new rifle for Ruger, the PC Carbine feels like an overgrown 10/22 .22lr rimfire rifle. 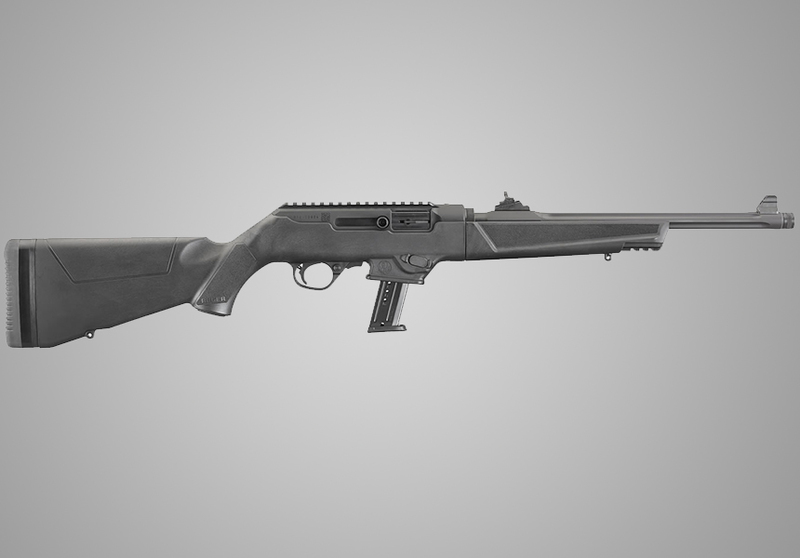 Ruger used the same technology that makes their takedown series of 10/22 rifle’s work. Also, this rifle comes apart in two different pieces for easy transport. That makes it perfect as a truck gun or bug out carbine because it saves space. The rifle has a long barrel with built-in iron sights and a Picatinny rail for easy optics mounting. Everything about this rifle is the same as the Ruger 10/22, except they chambered it for a larger caliber. It’s simple delayed blowback action is similar to other 9 mm carbines, but all the parts feel much more solid. It is rumored that this rifle will be able to convert to larger cartridges in the future. This is one of the ideal 9mm pistol caliber carbines for small game hunting with a pistol caliber round. Also, it’s an excellent first centerfire rifle for young hunter or target shooter. If you want an affordable plinking gun, but would prefer to stay away from the .22 LR, it doesn’t get any better. You get a more lethal, longer-range and ultimately more portable gun that shoots an affordable cartridge. HK is known worldwide for their quality if you can afford the price tag. HK is the highest-quality production grade manufacturer of military grade arms in the world. Almost every special operations unit in the free world uses HK weapons, including rifles, pistols and precision rifles. Many of their firearms have reached iconic status, and one is the UMP. The civilian legal version is the USC. To the uninitiated, these are different guns, but for people who know their way around HK, these are identical guns on the inside. 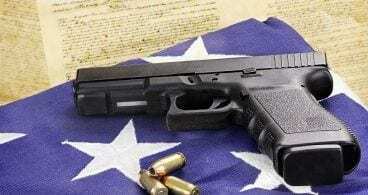 The differences are only in the stock and cosmetic features that make up the gun and turn it into a legal sporting rifle rather than an assault rifle. if you’re one of the many who lusted after an HK UMP clone but didn’t get one before they were banned from importation, it’s relatively easy to convert a USC into a UMP. The 9mm pistol caliber carbines are not as common as the .45 ACP versions, but they are available on the secondary market. It’s no secret that HK commands a premium price for everything that has their name on it. And this gun is no exception. Since most people will spend almost as much on secondary parts as they did on the gun itself, it is an expensive proposition. But this is the one of the top smooth shooting, flattest recoiling highest grade 9mm carbines in existence. And even if you don’t decide to convert your USC to an UMP, you have an excellent self-defense gun. The Zenith Z-5RS is a great addition if you are on a budget. If you’re a U.S. civilian, your chances of laying hands on a real HK MP5 are slim to none. That is, unless you have an exorbitant amount of cash to spend on firearms. If you have a moderate amount of money to spend on a nice rifle, consider this Turkish, HK MP5 clone. 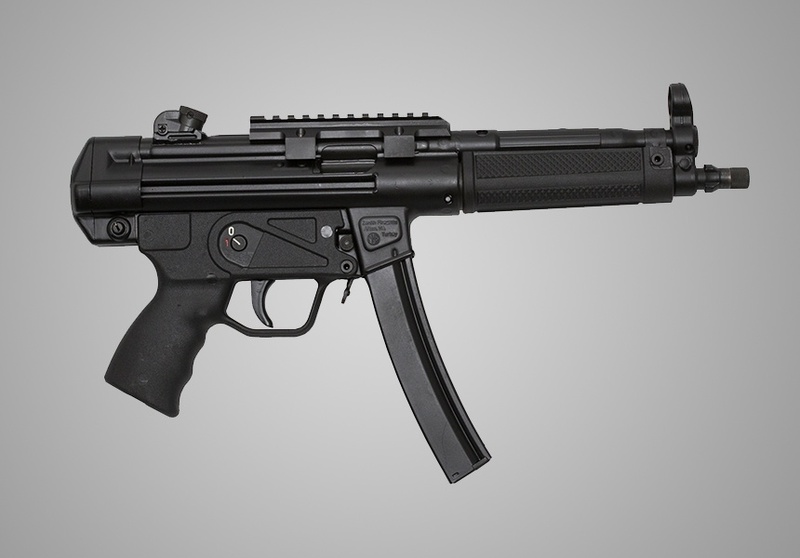 They made the MP5 body the traditional way by pressing the steel stampings and welding them together. Also, they used the original machining for each individual part work. They are available in most common 9mm variants for the MP5. Also, you can have one for a reasonable price. These MP5 clones accept modern accessories like stabilizing braces. But they also work with existing MP5s for aftermarket parts like charging handles. Although a little rough, these 9mm pistol caliber carbines will feel true to spec to a real HK carbine. Beretta makes some great pistols, but the Cx4 Storm is another fun option. The legendary pistol manufacturer, Beretta, has long been the maker of some the finest shotguns and rifles money can buy. In fact, their parent company manufactures the most expensive African double rifles in the world. So, it should come as a surprise from no one that they put out an effective 9mm carbine. 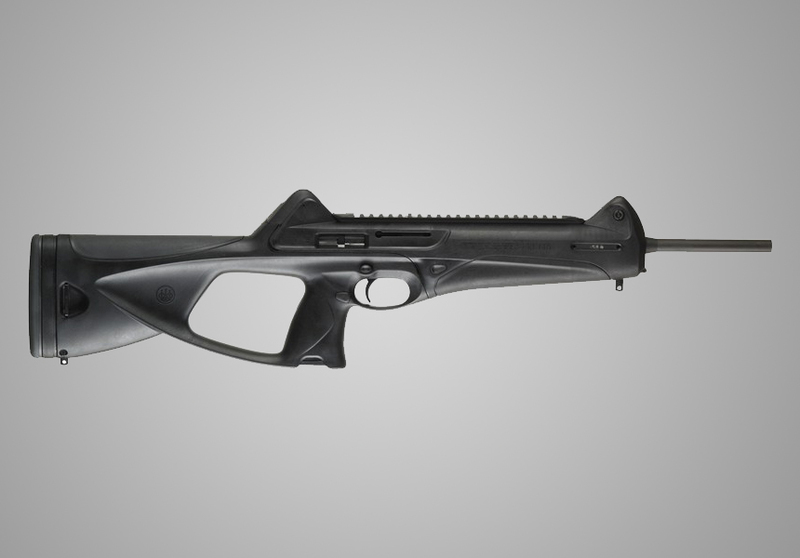 They designed the Beretta Cx4 Storm carbine to give law enforcement a lightweight yet effective pistol caliber rifle. It ergonomically performs like a pistol with the ballistics of a carbine. It takes same magazines as a Beretta Cx4 Storm pistol. And it is available as a 9mm for the 40 Smith & Wesson. The 9mm version is popular, so it’s easy to find. 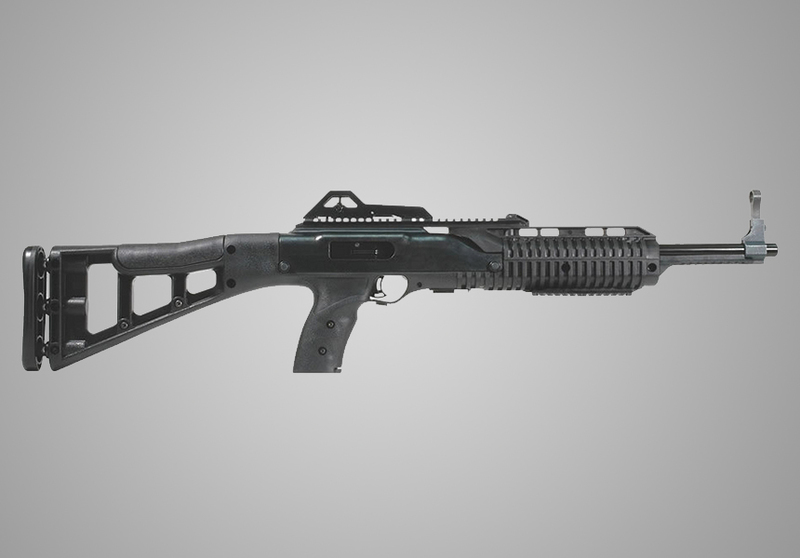 Beretta designed this carbine for hard usage by agencies and training companies. The injection molded polymer stock is extremely comfortable, too. In fact, it feels more like a .22 that a 9 mm when you shoot. This is a popular SBR because the barrel protrudes several inches beyond the monolithic stock design that encloses the firing mechanism and barrel all in one. The Picatinny rails make it easy to mount a forward vertical grip and any optic on the top strap. The backup iron sights are built-in to the stock design. 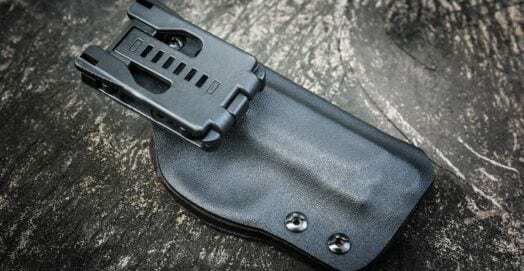 The optional parts include charging handles, ambidextrous magazine releases and extended magazines. This is one of the best 9mm pistol caliber carbines for home defense, small game hunting or plinking. The Hi Point 995TS 9MM is great for gun owners on a budget. Designed midway through the assault weapons ban, this is the big brother to Hi-Point’s pistols. They all operate on the same delay blowback design that makes the guns look clunky and overbuilt. These guns are often the most inexpensive guns you can buy. The great thing about these 9mm pistol caliber carbines is their weight and bulk. Designed with a skeletonized buttstock and overbuilt for-end, they tend to be slightly front heavy. But the majority of the weight rests in between your hands. The delay blowback operating system absorbs a lot of noise and recoil on other 9mm AR 15 variants out there. 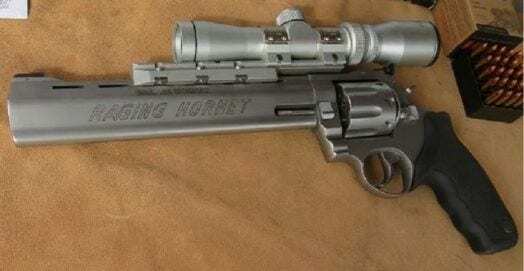 That makes this the perfect gun for a new shooter and small game hunter. It’s also an affordable pistol caliber carbine for a truck gun or home defense. While some may think this is an ugly gun, it’s reliable. Hi-Point honors the warranty that comes with this little rifle. So, this is a dependable rifle despite its low cost and ugly looks. Once you buy it, put a few hundred rounds of budget 9 mm through it. Then cycle some +P self-defense grade ammo through the gun to make sure that it functions well. 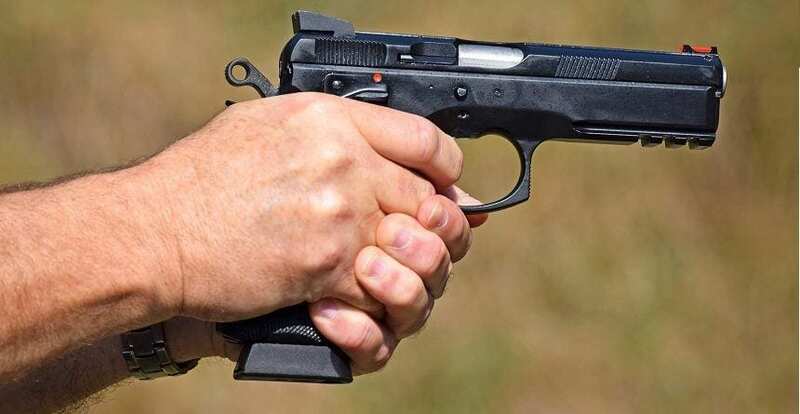 Once you verify your gun from Hi-Point works, don’t worry about it anymore. These guns tend to hold their value and are a blast to shoot. The Chiappa M1-9 9mm Carbine is another classic carbine. If you prefer military surplus guns, but don’t like tracking down the odd and sometimes expensive ammunition these antiquated guns use, Chiappa has you covered. This Italian company is famous for its historical reproductions and revolvers. And their M1-9 gun falls into their historical reproduction, but with a twist. This gun is a clone of the Inland Manufacturing M1 carbine they manufactured during WWII and the Korean War. They used it as a primary small arm for support troops and infantry companies during the Korean War. 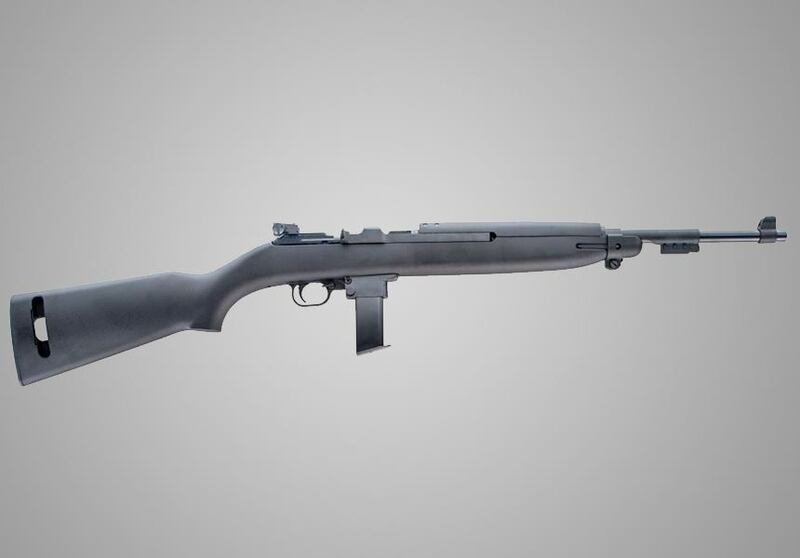 Borrowing technology from the M1 Garand action, it is a military style semi-automatic firearm, except it is chambered in 9mm. The rifle uses Beretta 92 magazines, including aftermarket extended magazines and functions nearly flawlessly. This is one of the top 9mm pistol caliber carbines compatible with most aftermarket parts and accessories for the M1 carbine. While these rifles can take some effort to find in a local gun shop, there readily available online. The M1-9 is perfect for plinking, small game hunting and even home defense. The Kel-Tec Sub 2000 Gen 2 is another budget pick. 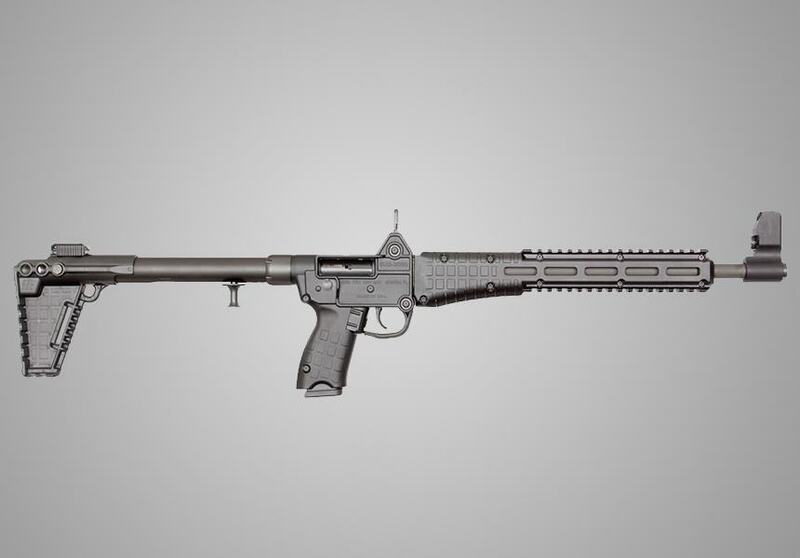 This firearm is from the innovative Kel-Tec company. However, many of their firearms suffer from a lack of quality control and material selection. But, this is one of their most successful firearms because it is little more than a hinged pipe with a barrel. The Sub 2000 Gen 2 takes either Smith & Wesson, Beretta or Glock magazines, including 33 round 9 mm magazines. You can store this sub-three pound firearm along with 100 rounds of ammunition in a backpack. This is because it’s smaller than other 9mm pistol caliber carbines and centerfire guns. This makes it an option for people who want a truck gun or survival rifle. However, this is not a firearm you should trust with your life. 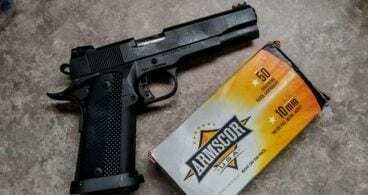 This is purely a firearm you should enjoy for plinking or training new shooters. The Kel-Tec Sub 2000 has been the subject of multiple product recalls and thousands of complaints for quality control. They include problems stemming from nearly every piece of the gun. The only saving grace of this little rifle is that it’s budget-friendly. Also, Kel-Tec is good about honoring their warranty. If you’re looking for an affordable plinking on and don’t like the Hi-Point, this is an acceptable alternative. These are the best 9mm pistol caliber carbines on the market today. The virtues of a 9mm carbine are making them more common. Just five years ago there were less than half the offerings on the market than you currently have. Many of the old favorites were available, but the new premium offerings from sig Sauer, Wilson combat, and even CZ were not. If you want to partake in this new Renaissance of firearms taking place, you’re in luck. The 9 mm is affordable, easy to find and for the time being, you can enjoy any of these rifles for less than half of what 5.56 ball ammo would cost you. 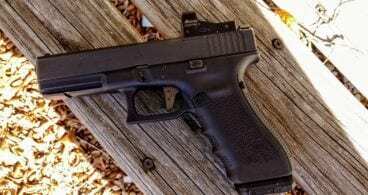 As a plinking gun, a trainer for new shooters or self-defense for the elderly or small stature person, these guns have real utility.